We appreciate you visiting our web site to stay informed of the issues and events affecting our school system and community. It is our goal to utilize our resources to better communicate with the public, as well as our staff, the great things going on in our schools. The level of interest, support and involvement of parents and community members directly impacts the effectiveness of the Long County School System. We hope to bridge this gap by better communicating with all stakeholders in an effort to meet the educational needs of all students. Please take the time to explore this website and provide feedback so we can better serve the needs of our students and community. The Long County School System takes pride in offering its students many opportunities for educational growth from pre-kindergarten through high school. There is a diverse student population with programs to meet their needs. Long County offers numerous special programs including: gifted education, English to Speakers of Other Languages (ESOL), special education, EIP and remedial education. Credit Recovery, Blue Tide Academy and extended learning programs are made available to students to assist them with maintaining their academic success. Extracurricular activities range from academics to athletic opportunities. All schools are accredited by the Southern Association of Colleges and Schools and are "Accredited with Quality" by the Georgia Accrediting Commission. 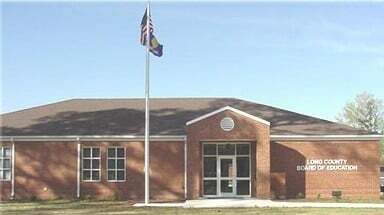 Long County, established in 1920, is located in southeast Georgia, 50 miles southwest of Savannah between Hinesville and Jesup. Georgia's 157th county was named for Dr. Crawford W. Long, the Georgian responsible for introducing anesthesia to modern medical practice. Today, Long County is home to more than 11,000 citizens and one of the fastest growing counties in South Georgia. The northeastern tip of Long County is occupied by part of the sprawling U.S. Army installation, Fort Stewart, which also occupies significant portions of the neighboring counties. The Altamaha River forms the boundary between Long and its southern neighbor, Wayne County.